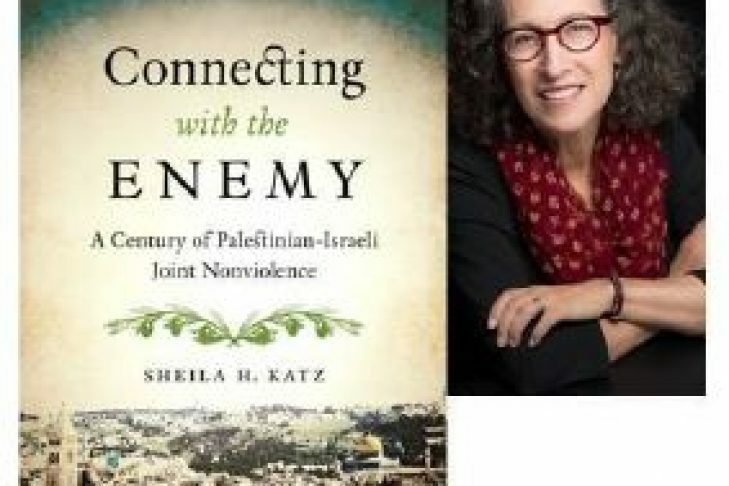 Join Beth El member Sheila Katz as she begins her worldwide book tour to honor the courageous work of Israelis and Palestinians. This is the story of thousands of ordinary people who resisted the dictates of their societies in order to stand face to face with the “enemy.” It is the first comprehensive history of Palestinian and Israeli grassroots efforts to forge joint non violent alternatives to the lethal collision of their national movements. Sheila will read from her book, and create an atmosphere of awareness and compassionate listening for discussion. We will enjoy each other’s food and music. Free and open to the public. Please join us! Sheila Katz PhD is Professor of Middle East History and Contemplative Studies at Berklee College of Music in Boston. She wrote Women and Gender in Early Jewish and Palestinian Nationalism and has published numerous articles and reviews. She is also founding teacher of the Nishmat Hayyim meditation collective in Brookline.